Muse Challenge #11 Using the green from Monday Muse, Laurie Willison! for the background and the blue of the twin for the flowers I enjoyed this challenge. Moxie Fab Tuesday Trigger : Friendly Flowers This played right into the idea of green background and blue flower. Love it! 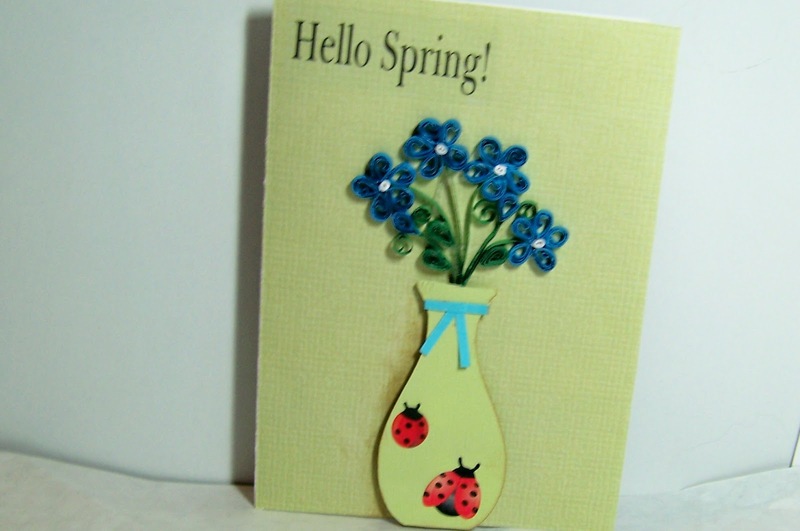 Beautiful quilling - I love the dimension it gives to the flowers! Thanks for playing along with Muse this week! Such a cute card. Love the ladybugs.